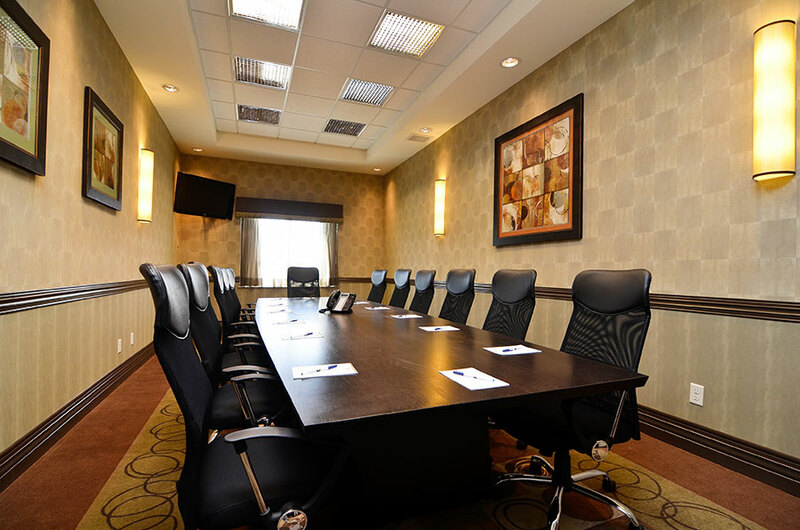 Close to the Calgary International Airport with free 24 hour airport shuttle service, the Best Western Premier Freeport Inn Calgary Airport hotel is the perfect venue for your next event. Our tasteful event facilities are designed for every need, from professional boardroom-style meetings, to small gatherings and mid-sized functions, including wedding receptions and conferences. 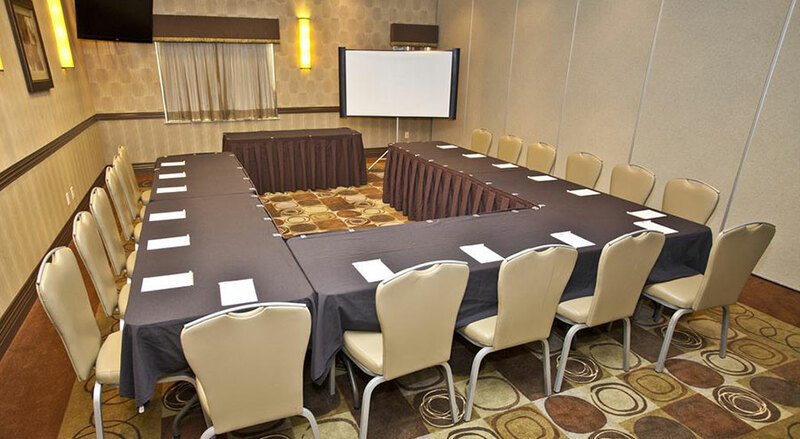 Both onsite and offsite catering and beverage services are available, depending on your personal needs, and all of our event space features complimentary high speed Wi-Fi, a 42” flatscreen LCD TV and all the necessary audio-visual connections. 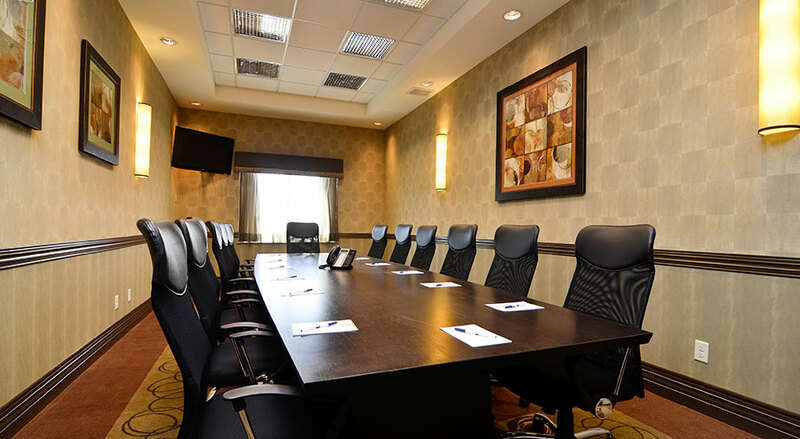 Our Calgary airport hotel also offers group booking discounts for large groups and exclusive benefits for corporate travellers. 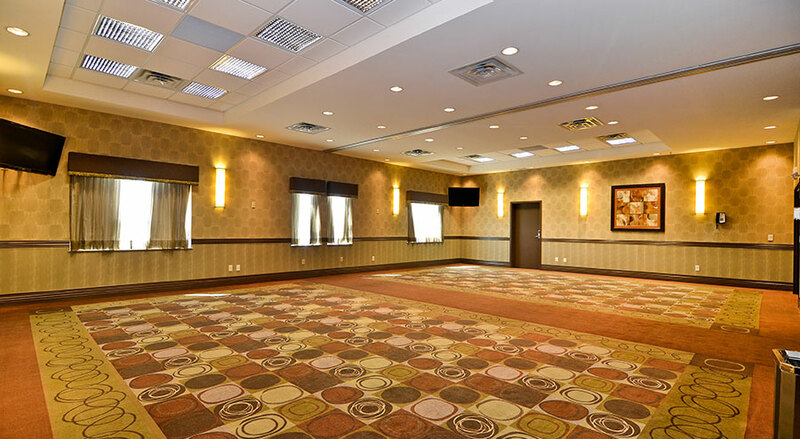 To book your next business event or social function at Best Western Premier Freeport Inn Calgary Airport, please use the online event inquiry form. Alternatively, feel free to contact us directly at 877-818-0638 or send us an email to secure one of our popular Calgary event venues. 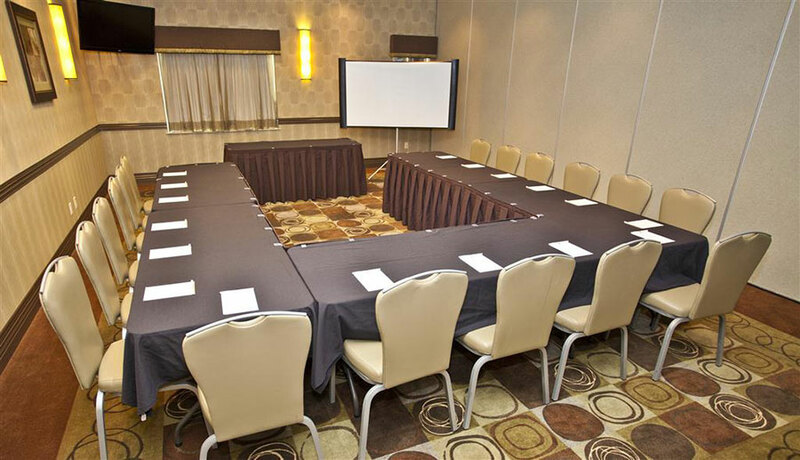 Ideal for conferences, seminars, meetings and social functions for up to 57 guests, these versatile spaces can be configured into several different layouts to suit your needs, including classroom, theatre and small banquet settings. Each room is 513 square-feet, with tasteful decor and neutral colour tones. Our elegant banquet room is created by combining the Oxford and Windsor Rooms to create a space that can accommodate up to 70 guests, depending on the arrangement of the space. 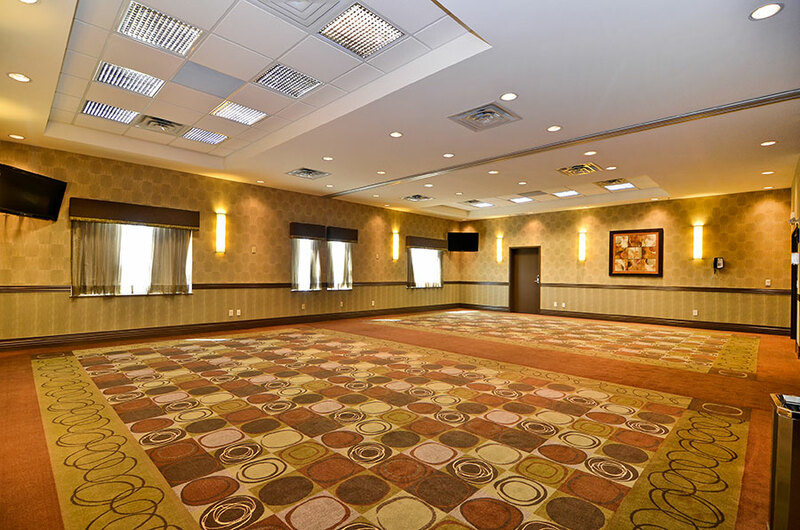 Perfect for small wedding receptions, social functions and small conventions, our banquet hall offers 1028 sq. ft of space with neutral tones to compliment your personal décor plans. 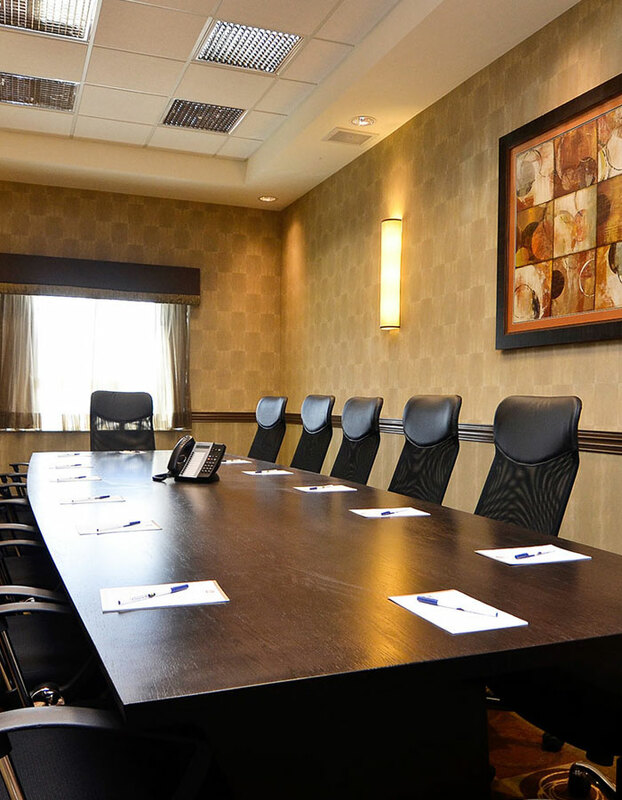 Keep things professional and productive in the York Boardroom, offering 360 square-feet of space and a large conference desk with comfortable leather office chairs for up to 14 guests. 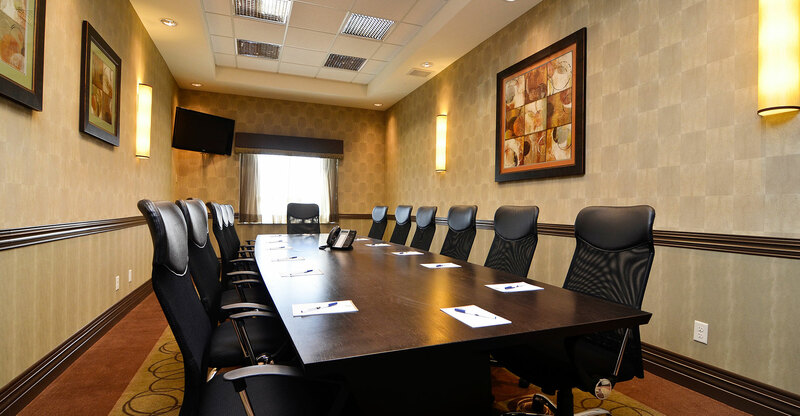 The boardroom is also equipped with a 42” flatscreen TV and A / V hook-up.